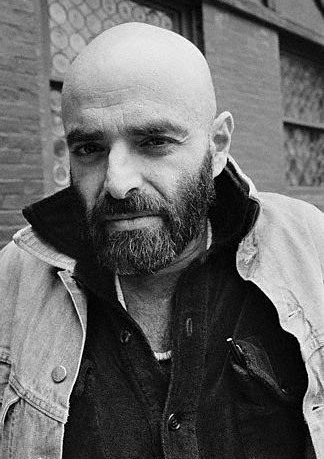 Sheldon Allen Silverstein or Shel Silverstein was born on September 25, 1930 in Chicago, Illinois. He prefers to say little about his younger years. What he did say was that he wished he could play basketball or knew how to hit on girls but he couldn’t play ball and he couldn’t dance or talk to girls, so what he did was begin to write and draw. He didn’t have anything to copy so he created his own style. Shel didn’t start with writing children books. He drew his first cartons for Pacific Stars and Stripes who have adult readers. He had also learnt how to write songs and play the guitar, he later wrote a song for Johnny Cash called “A Boy Named Sue”. He had never planned on writing for children but his editor at Harper and Row, Ursula Nordstrom said that he should try it. After doing his first book it was like a match made in heaven as Silverstein loved the results he got. Soon his work was available over the world in more than 30 languages. He has a murder anthology that rivals the biggest names in the business like Stephen King and John Grisham. The books from this anthology are named Murder for Love, Murder for Revenge and Murder and Obsession. He studied briefly at the Roosevelt University in the Performing Arts. He wrote songs for many singers like Loretta Lynn and the Unicorn but mostly he wrote for Dr. Hook and The Medicine Show including “Sylvia’s Mother”, “Things I Didn’t Say” and “The Cover of The Rolling Stone”. The most famous song that he wrote was called “The Ballard of Lucy Jordan”. This has been re-recorded over three times and was also used in the movies like Montenegro and Thelma and Louise. He had also done a couple of play writes directed by Karen Kohlhaas. Some of these include “Buy One, Get One”, “Bus Stop”, “The Best Daddy” and “Smile”. Shel had two children, Shoshanna born June 1970 and Matthew born November 1983. They had different mothers and it was said that Sarah Matt’s mother was mentioned in the dedication of a book that he wrote for Matthew called “Falling Up”. He died of heart attack in Key West, Florida May 1999. His body was found by his two maids on May 10. It was suspected that he died over the weekend.